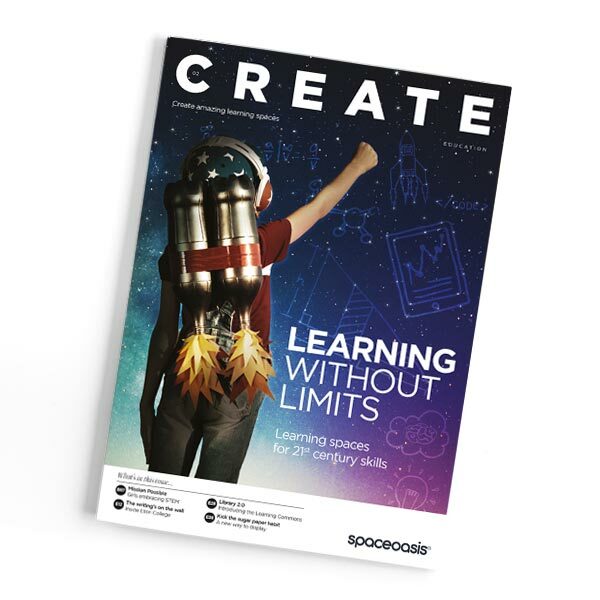 Welcome to our special show issue of CREATE, the magazine from Spaceoasis that’s all about helping you create amazing learning spaces. In this issue we’re looking at the single most important question when it comes to designing learning spaces: what do you want to DO in the space? We explain why this question knocks aesthetics off its pedestal and why ‘form follows function’ is the key to success. 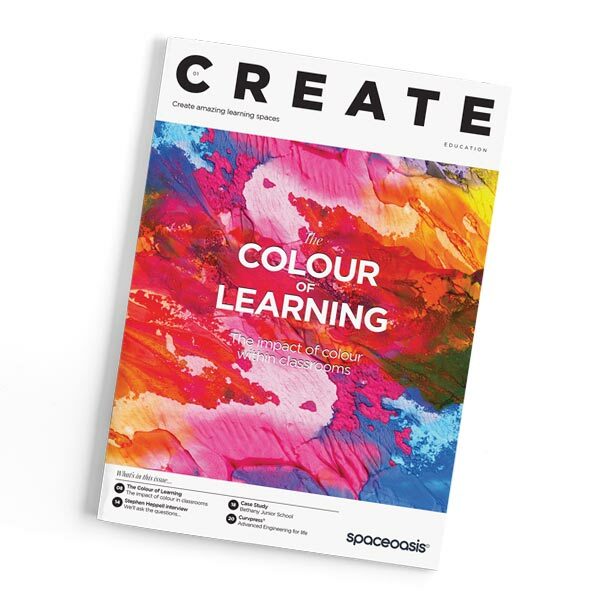 Welcome to the third issue of CREATE, the magazine from Spaceoasis full of ideas, inspiration and examples to help you create amazing learning spaces. Find out show you can apply insights from neuroscience to the classroom, how a strategic plan can help ensure you invest wisely in your learning environments, see inside an award-winning sixth form building, visit a village-green inspired learning space and much more! 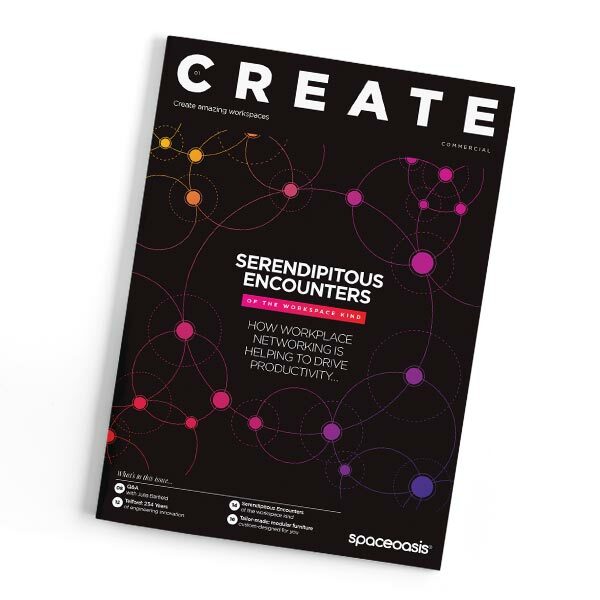 Welcome to the third issue of CREATE, the magazine from Spaceoasis that brings you inspiration, ideas and insight into workspace trends. Find out how flexible environments help you to roll with the changes, cope with growth and embrace new ways of technology-enabled working without having to move or knock down walls, plus why people use coffee shops as their office, interviews, case studies and more! 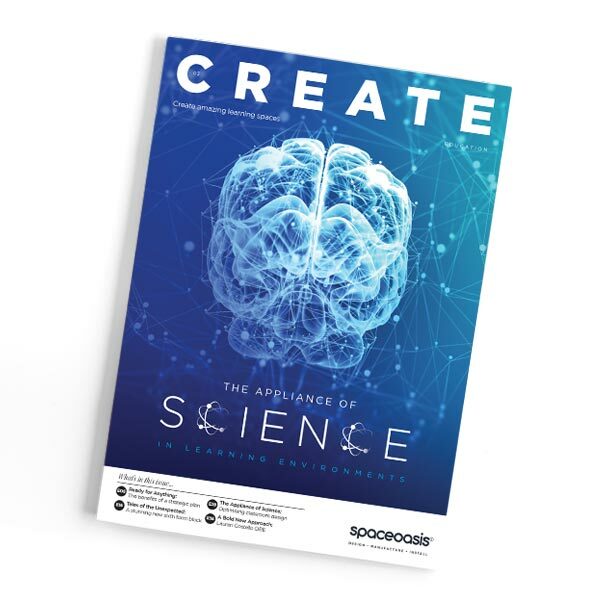 Welcome to the second issue of CREATE, the magazine from Spaceoasis full of ideas, inspiration and examples to help you create amazing learning spaces. In this issue we look at learning spaces designed to develop 21st century skills and share spaces designed to meet specific educational challenges; encouraging girls to take up STEM subjects, getting boys to read more and enabling a creative approach to technology. Enjoy! 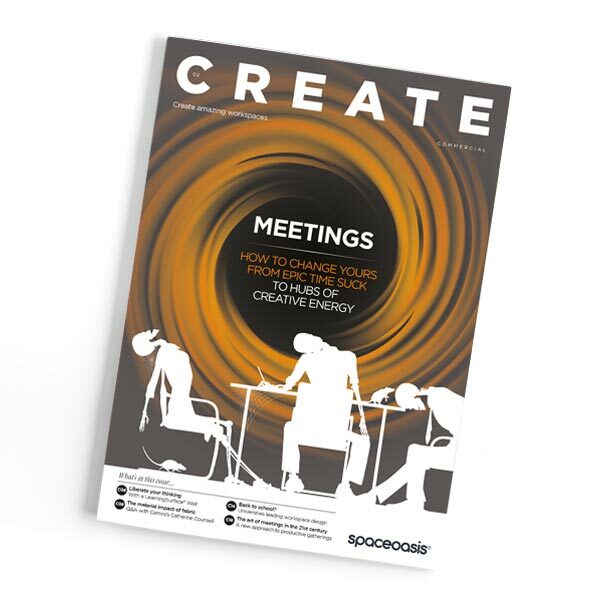 Welcome to the second issue of CREATE, the magazine from Spaceoasis that brings you ideas, inspiration and insight into workspace trends. In this issue we look at the Art of Meetings in the 21st Century, find out why large dry-wipe walls are becoming a must-have in all industry sectors, hear about new fabric trends from Camira and examine what freshly-minted graduates expect from their working environment. Enjoy! 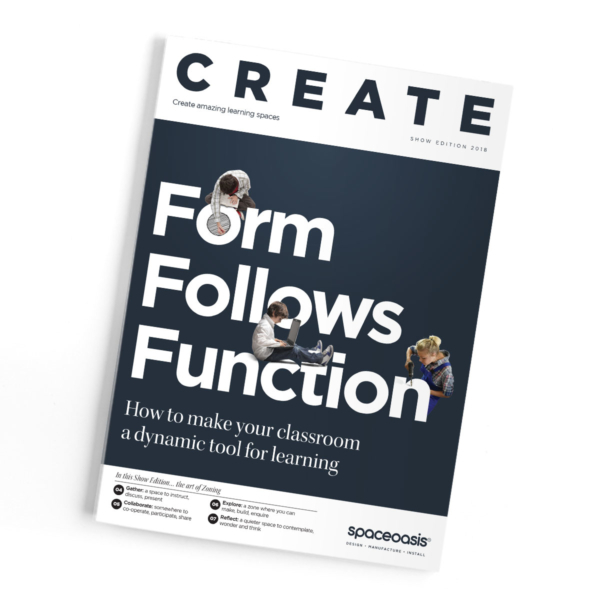 Welcome to the first issue of Create, the magazine from Spaceoasis that’s full of ideas, inspiration and examples to help create amazing learning spaces. We fundamentally believe that better learning environments help teachers to deliver a better learning experience, but we understand that it can be hard to envision a different way of doing things. The idea behind Create is to help kick start some fresh thinking. 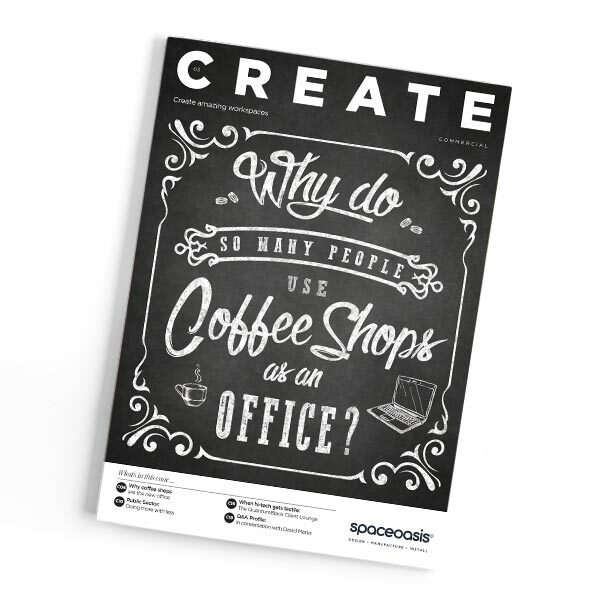 Welcome to the first issue of Create, the new magazine from Spaceoasis that brings you ideas and inspiration for creating amazing workspaces.